28/08/15. Shaqlawa, Iraq. -- Tahrir, 34 y.o. 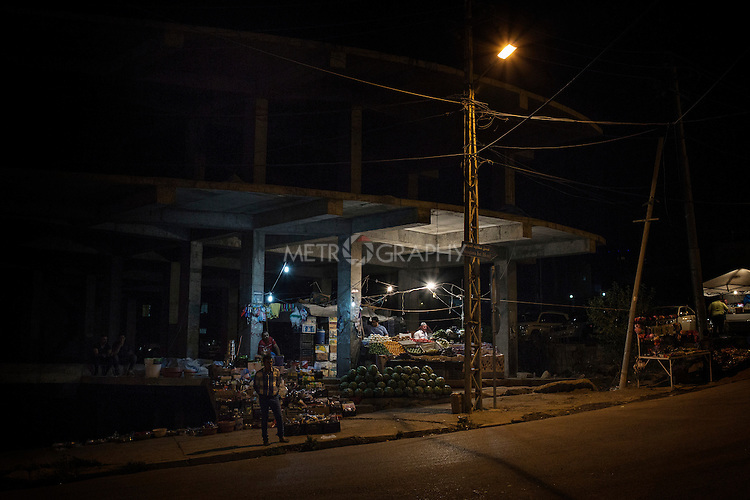 from Falluja, opened a makeshift stall inside an unfinished building in thee centre of Shaqlawa where he sells fruit and vegetables.